Geoffrey Barnett, a fine art photographer, cruises the night streets of Manhattan. His pictures are stark, deserted cityscapes. No people. No faces. Not since the trauma that ended his career as a photo-journalist. Then Kimberly Yates enters his life. Suddenly Geoffrey’s world is turned upside down. She taunts him into photographing her and by so doing nurtures him back to life. Then just as suddenly as she appeared, she’s gone like a puff of smoke. . .as if she were just a dream, a vision that Geoffrey has conjured up. As he begins to search for Kimberly, Geoffrey discovers that perhaps she was a dream. Soon, he begins to wish that she weren’t real, because his obsession with her turns his life from dream into a nightmare. As he discovers the truth about Kimberly, she leads him down a path of greed, deceit and blackmail. It is a road littered with sexual perversity and struggles for power, with unbelievable pleasures and even greater pain, with powerful love and a passion for life and, inevitably, the terror of death. 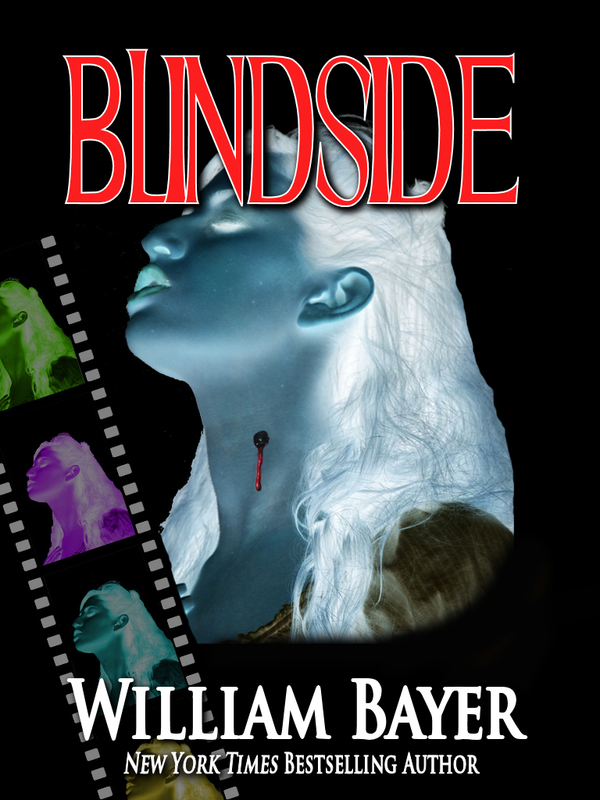 BLIND SIDE is a brilliant puzzle. As the reader pieces it together it reveals a vision that will excite and shock, a story of obsessive love and equally obsessive cruelty. . .neo-noir at its best.